This is a how-to for making a jamón holder (a.k.a. ham stand or jamonera) from IKEA household products. After all those jamón (Spanish dry-cured ham) stories by Alex Exler I've read, I felt an urge to give it a try. 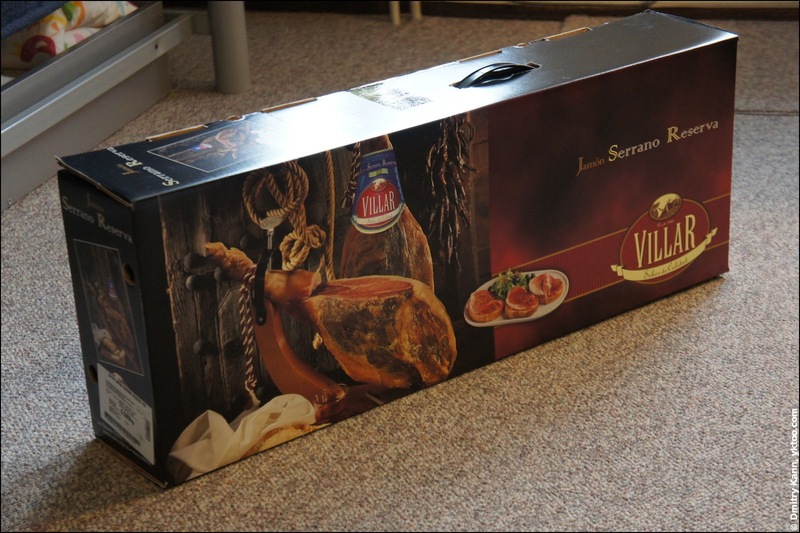 And one day I saw one in the local grocery store: Villar Jamon Serrano Reserva, weight ca. 7 kg for € 49.95. It is just advisable to get acquainted with jamón by tasting its cheapest varieties.